No matter how conscientious you are about your oral care routine, at some point in your life you will probably experience the discomfort of tooth pain. A toothache usually refers to pain around the teeth or jaws. The severity can range from mild to sharp and excruciating. Tooth Sensitivity – If you are experiencing sharp pains when eating or drinking hot or cold foods, it could mean you have a cavity. It may also be a sign that you may have sensitive teeth, either from receding gums or from a thinning of your tooth enamel. 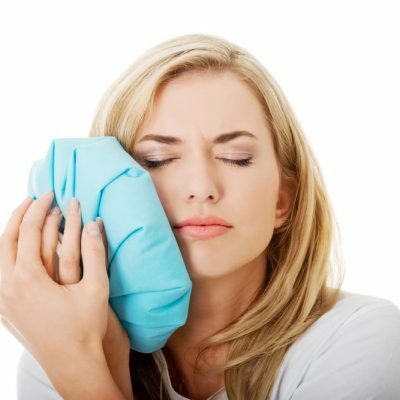 Cavity or Cracked Tooth – If the pain you are experiencing is a sharp, stabbing pain when you bite down on your food, the cause of your toothache could be a cavity or a cracked tooth. Abscessed Tooth or Infection – If it’s a throbbing, incessant pain, on the other hand, you may have an abscessed tooth or an infection that should be taken care of as quickly as possible. Sinus infection – If only your upper teeth on both sides of your face are in pain, sinusitis could be the culprit. This sort of toothache is usually accompanied or preceded by nasal congestion and tenderness around your sinuses. Temporomandibular Disorders – If your pain is more identifiable as jaw pain, it may be caused by temporomandibular disorders caused by a direct injury or trauma to the jaw, by grinding your teeth, or by arthritis affecting the jaw. Impacted molars – If your wisdom teeth have not been removed, impacted molars could be causing you jaw pain. Toothaches are not always severe. Intermittent pain may seem like just an inconvenience and not worth an immediate call to the dental office, but waiting until the pain becomes worse is rarely the best option. A conclusive diagnosis as to the source of the pain and subsequent professional treatment is always the best course of action. A thorough exam, including X-rays can help determine the cause. At Alabama Smile Design, we have invested in state of the art CBCT technology which allows Dr. O’Donnell to see dental anatomy as it actually exists! This results in more accurate diagnosis, improved patient experience and faster treatment.